History: the Belgian member of the French Exel Group was formed on December 15 1988 with assistance from TEA to operate scheduled services from its Liège-Bierset base. First revenue flight (to Paris) took off on February 13 1989, later expanded by links to Lyon, Nice, Lourdes, Biarritz and London. 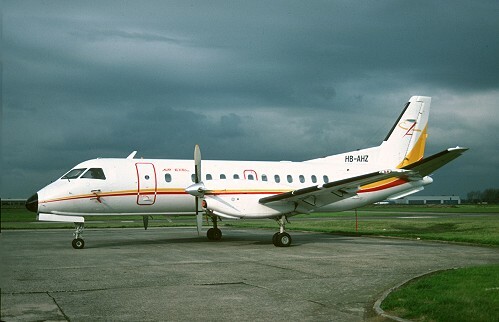 During 1991, the French holding withdrew from Air Exel ending their operations on December 17 1991 and long after the company was declared bankrupt on February 4 1998.